or are you just tired of feeding him/her the same old treats? If so, look no further than Good Boy Deli Bites. Available in 3 tasty varieties of Chicken, Beef and Duck. 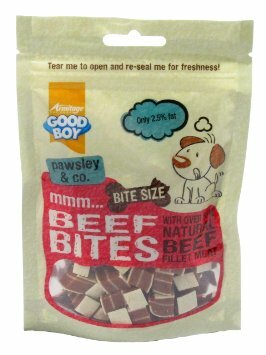 Good Boy Deli Bites are oven baked with the finest ingredients and contain no artificial colours or flavours. Deli Bites have upto 75% meat making them lip smackingly tasty. 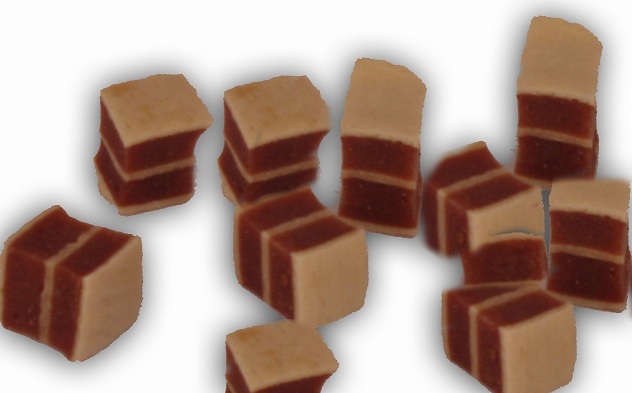 Bite size pieces makes them an ideal training aid or reward.